Inventive Kanhaiya raises 30 lakh within 30 hours, then his site gets hacked! PATNA: The crowd-funding campaign of Left candidate Kanhaiya Kumar has become a big hit this election with the candidate collecting around Rs30 lakh (Rs3 million) barely within 30 hours of launching this idea. 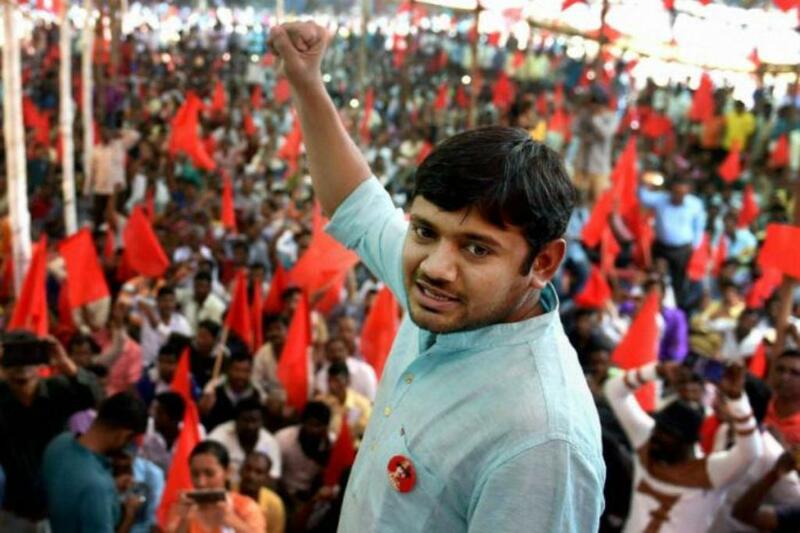 Kanhaiya, former JNU Student Union president who is contesting the Lok Sabha polls from Begusari as a CPI candidate, had launched the campaign on Monday in partnership with OurDemocracy, a platform to raise money. The youth leader had set his target of collecting Rs70 lakh (Rs7 million) to launch his election campaign but much to his surprise, people voluntarily came forward and liberally donated money for his campaign. The result was that he collected Rs30 lakh within 30 hours of the launch of his platform. “I need your support. No amount is big or small. Contribute what you can. If you believe in democracy, I am seeking your support,” was how Kanhaiya said in his video appeal to the masses. The impact of the appeal was such that all sets of people opened their purse to donate money for his election campaign. If one Maheshwar Peri from Delhi donated him Rs500,000, another man paid him Rs100. Kanhaiya, however, is not accepting foreign donations. The problem began soon thereafter as the hackers began attacking his site and finally on Thursday, his site went down following hackers’ attack. “Finally we decided to shut down the platform on Thursday but the money donated by various people in the country is safe,” said a party leader on Friday. Kanhaiya who is the joint candidate of the Left parties from Begusarai will face BJP candidate and union minister Giriraj Singh in the poll arena. Giriraj, however, is said to be angry over change of his political constituency. He currently represents Nawada seat but now has been shifted to Begusarai. He alleges that his constituency was changed without his prior consultation.After a meeting with BJP chief Amit Shah, Singh, has now agreed to contest election. His main grievance is that none of the Union ministers from Bihar had their LS seats changed except for him. Begusari goes to polls in the fourth phase. The 17th Lok Sabha Election will begin on Apr 11 and end on May 19. The counting of the votes will take place on May 23.